Prescription drug fraud is already a billion-dollar problem for insurers in the United States, with estimates for the cost of drug diversion alone at $75 billion annually. The opioid epidemic threatens to exacerbate the problem as drug-seeking behavior is the biggest contributor to prescription drug fraud, according to Express Scripts. 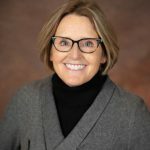 In her article, “Finding and Preventing Prescription Drug Fraud,” in the June issue of Benefits Magazine, Susan Hayes explains that prescription drug fraud can be difficult to detect because it takes so many forms and is committed at so many levels. Nevertheless, Hayes, who is accredited as a health care fraud investigator by the National Health Care Anti-Fraud Association, says there are steps health plan sponsors can take to detect and prevent prescription drug fraud. Learn more from Susan Hayes at her Detecting Fraud and Abuse in Benefit Claims and Delivery session during the Annual Employee Benefits Conference, October 22-25, 2017 in Las Vegas. 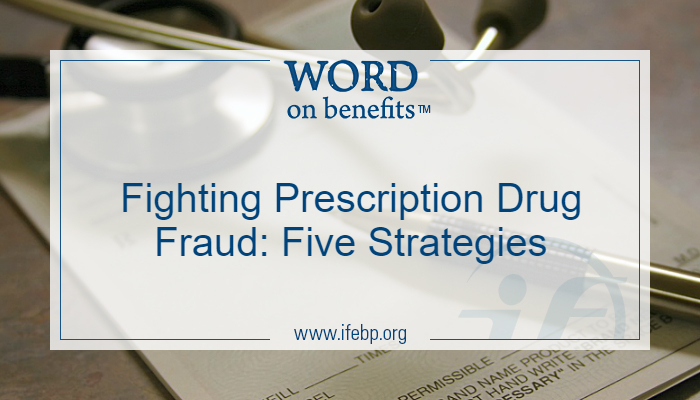 Discuss fraud with your pharmacy benefit manager (PBM). Find out what policies and procedures your PBM has for auditing and prosecuting fraud. Most PBMs have some type of fraud program, but it may not be strong enough or might fail to find the fraud until after the claims have been paid. Obtain and review your claims data. A significant spike in claims either from a particular pharmacy or provider or in a specific therapeutic class such as compound drugs can be a warning sign for fraudulent claims. For example, if a patient has been on an opioid for more than six months but doesn’t have a cancer diagnosis or is not under the care of a pain management specialist or orthopedic surgeon, it may be a sign of fraud. Educate your plan members about fraud. Plan participants should be educated about protecting their medical identity and should be made aware that it is a federal crime for anyone to ask for their medical identity. They also should be informed that selling prescription drugs obtained under their benefit program is illegal and subject to prosecution. Send an annual pharmacy benefits statement to plan members. Many members may not know that their medical identity has been compromised or that a dependent has committed medical identity fraud. A statement would inform members of all the drugs that have been dispensed under their identity. Notify legal counsel. Plan sponsors that suspect fraud should immediately notify legal counsel, which may then hire an investigation firm outside of the PBM to obtain evidence to pursue legal action. Prescription drug fraud is a fact of life, Hayes wrote, and plan sponsors have a duty to make sure their plans and participants don’t fall victim.